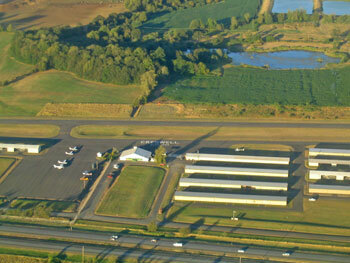 The FBO is attended 9:00 - 5:00 Monday thru Friday and 11:00 - 4:00 on the weekends. 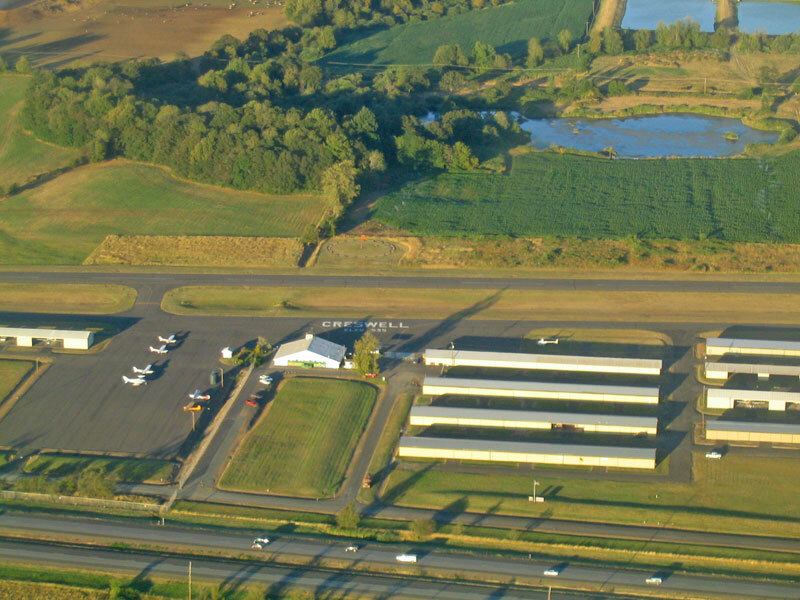 For more information about Creswell Hobby Field Airport, please visit AirNav.com or Skyvector.com. 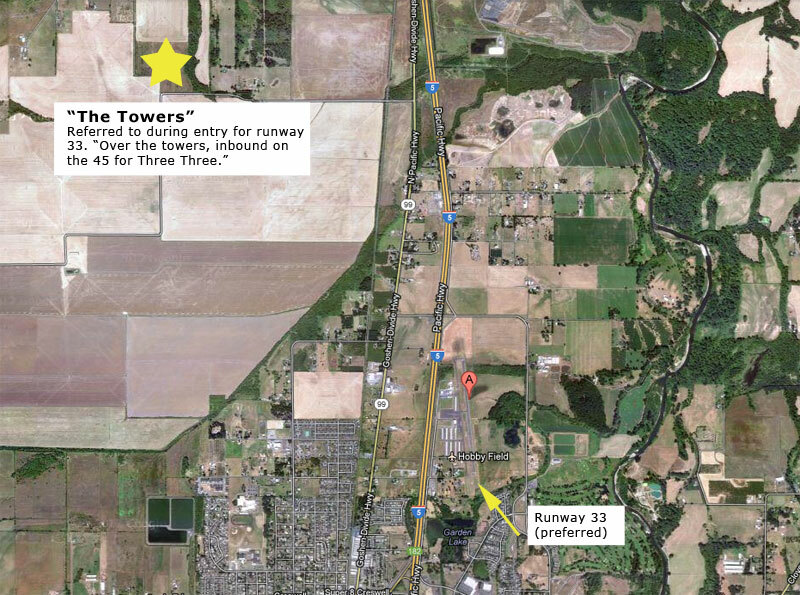 About Time Aviation operates out of Creswell's Hobby Field Airport, located just east of I-5 and Creswell city limits. 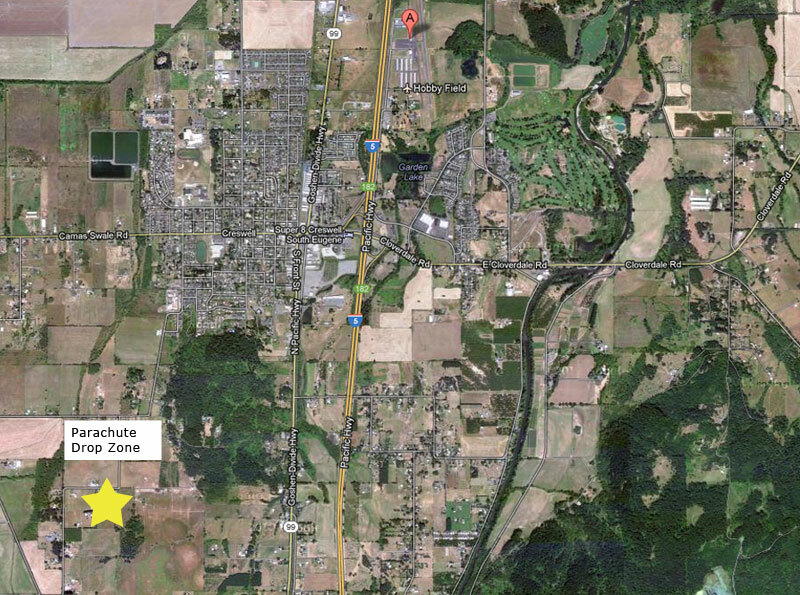 Better known as the "Creswell Airport," don't let the small size fool you – Creswell is actually one of the busiest non-towered airports in Oregon, which means you will get plenty of experience sharpening your awareness of and interacting with other airport users. 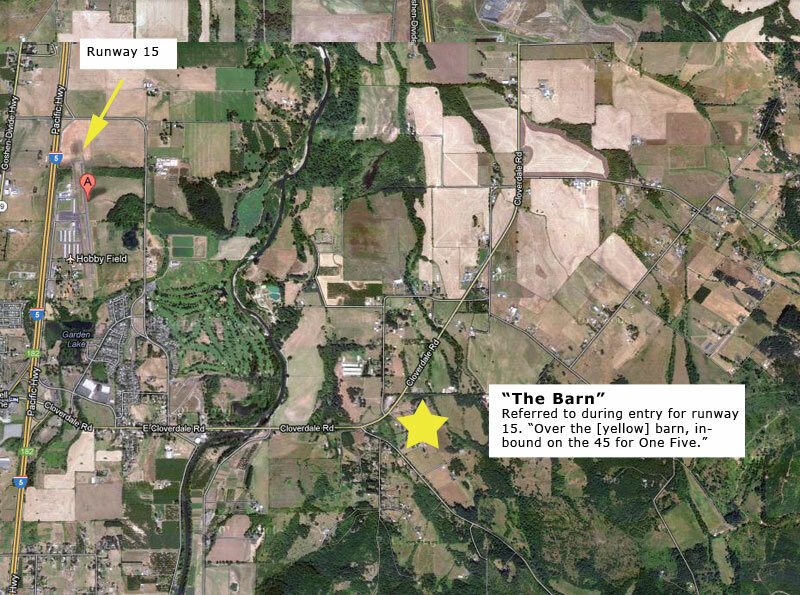 According to the City of Creswell website, activities and business available at Hobby Field include "skydiving, flight instruction, aircraft maintenance, Chapter 31 of the Experimental Aircraft Association (EAA), aerobatic rides/lessons, and a flight simulator. The city-run pilot's lounge is open daily for the aviation enthusiast and offers a variety of services: 100 LL and Jet A aviation fuel from a 24 hr. 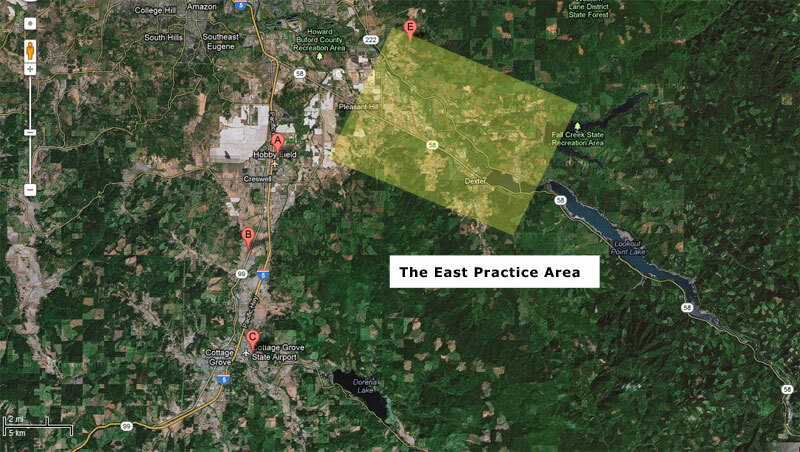 card lock system, pilot supplies, aircraft tie downs, hangar rentals, and commercial land leases." Every airport has its secrets and Hobby Field is no exception. Illustrated below are some of the landmarks and terminologies we use around here, so you can impress all your friends and acquaintances with your insider knowledge.